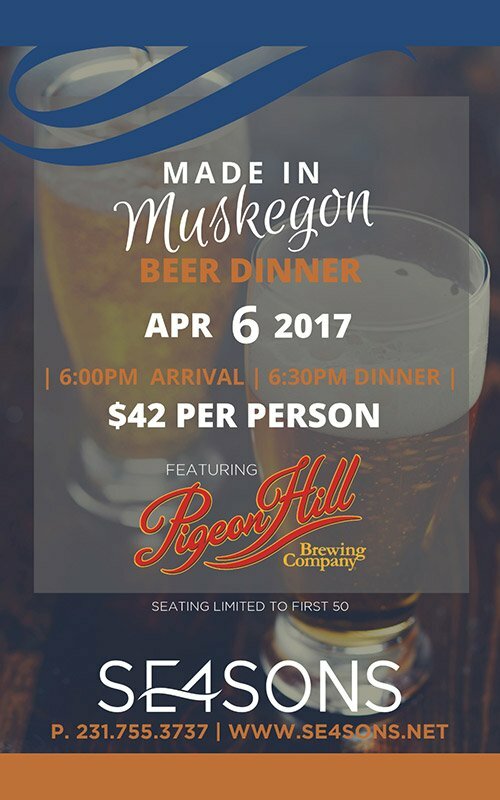 It’s all about Muskegon for this fun Beer Dinner at SE4SONS! Beer from Pigeon Hill Brewing Company and local food are in the spotlight! Only $42 per person! Hurry and make your reservations! This event will fill up quickly! 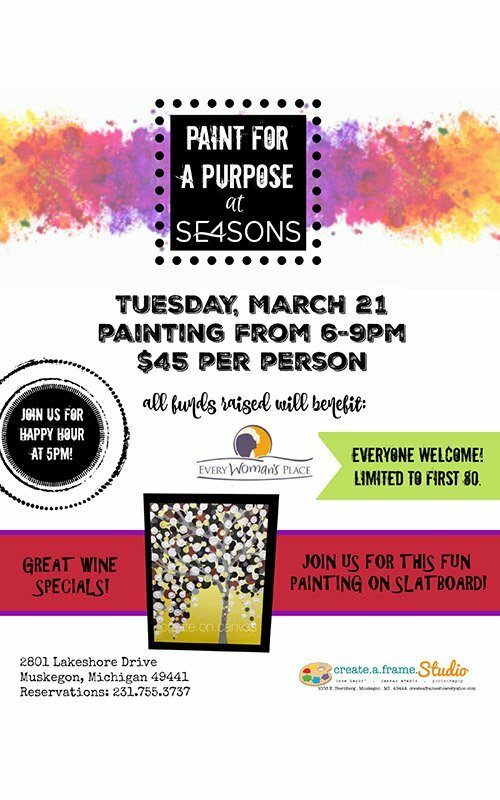 Call 231-755-3737 to reserve your spot today! Limited to 50 people.